Another warm one! 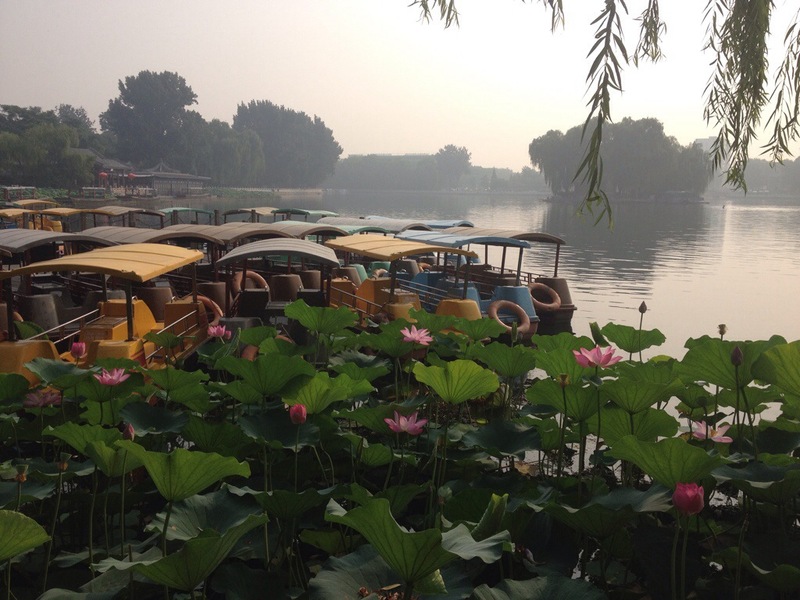 To avoid the excessive heat of the day – the temperature is well into the 90’s – 6.30 saw me doing my homework on the Beijing Lonely Planet Guide and by 8.00 we were out and making a circumnavigation of the lake. We were not alone. Although not teeming with life, there were a number of other strollers and a couple of early morning fishermen. Their method of work was some very limp strings tied to the wall surrounding the lake against which they had parked their rusting bikes. I was not particularly confident about their chance of success but it made a good photo in the early morning light! 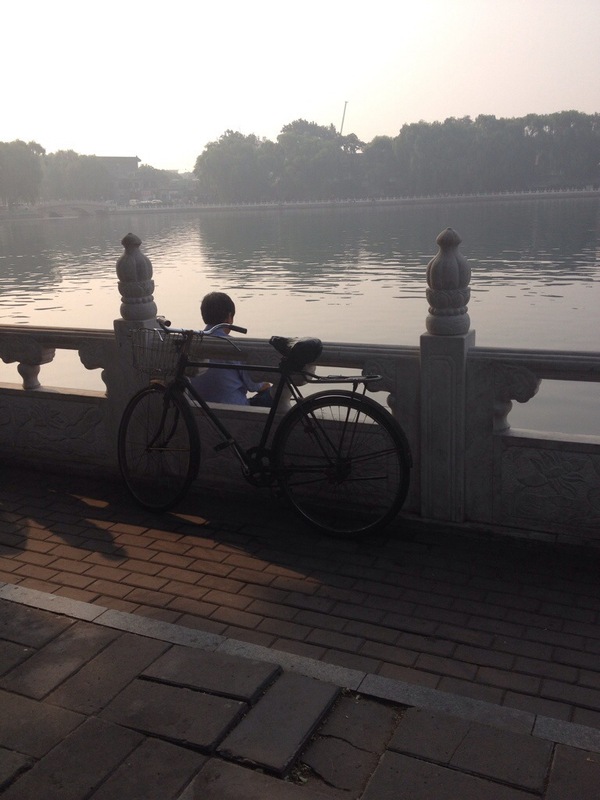 We then took off t Beihai Park, one of the smaller but most attractive parks in the city. It used to form part if the old imperial city and was the location of Kublai Khan’s palace. The area is once again dominated by lakes but has It’s fair share of temples and a huge white ‘dagoba’ on an island on the lake which dominates the skyline. The highlight of the park was its people. 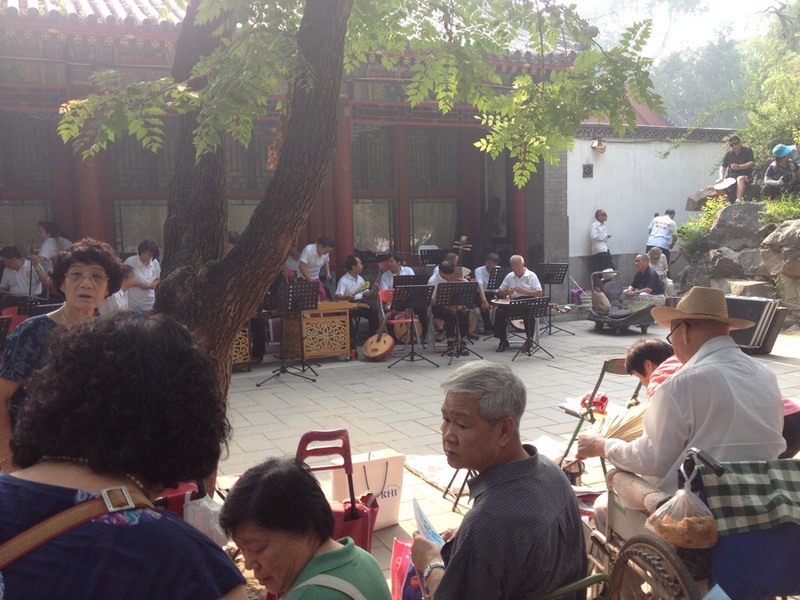 True to form of the Chinese approach to living – all life was on display! Ballroom dancers, a full Chinese orchestra, Taichee practitioners, streamer twirlers, shuttlecock throwers and Chinese opera singers. We arrived at the orchestra to hear them tuning up and stopped with several hundred others to hear them perform. We were the only western people present and it was great fun! We weren’t quite so sure about the opera although it obviously had its supporters. It sounded somewhat pained to us. Obviously for the discerning listener! 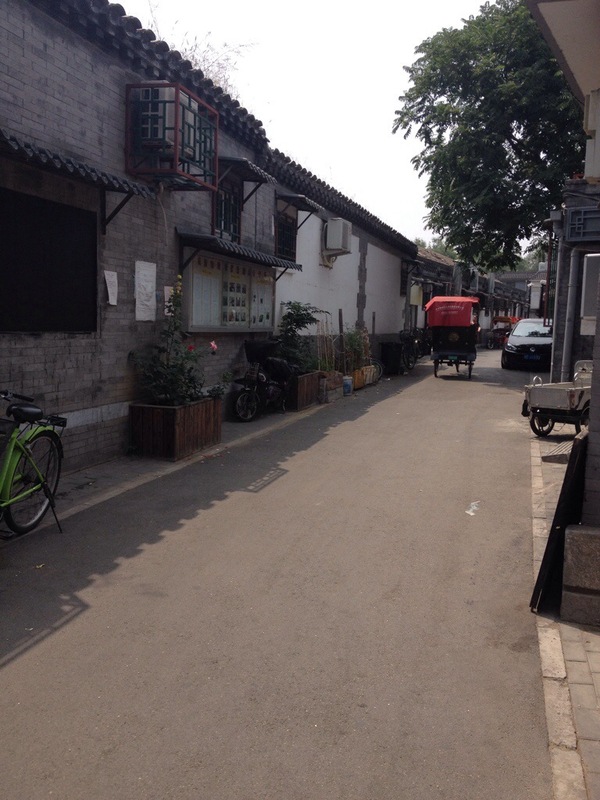 We crossed to the island and perambulated around it, but by then the day was really heating up and we decided to return to the house for a siesta before taking on the world according to Beijing again. Post siesta we decided to go to see an acrobatic show. 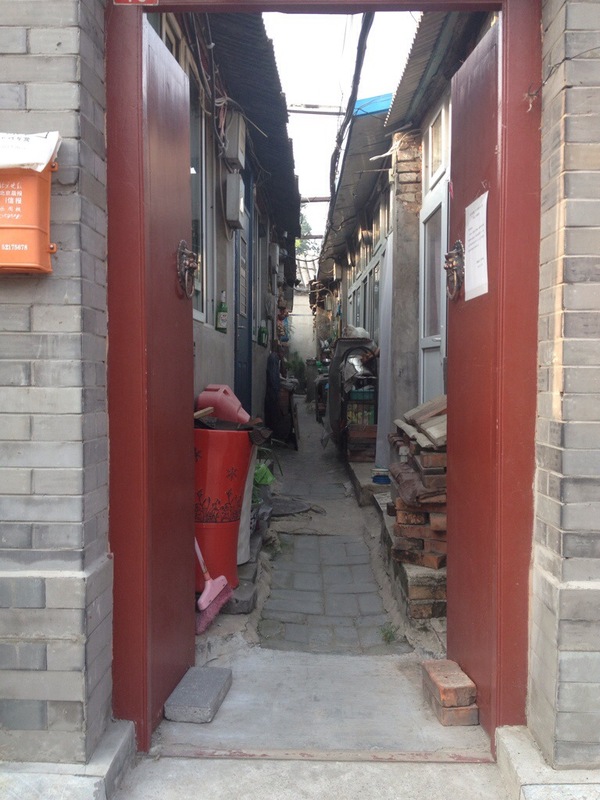 This entailed our first grappling with the Beijing underground network which proved remarkably easy and very cheap. The acrobats were something else! Their costumes might have been a little saggy and jaded in parts but the enthusiasm and nerve was certainly not wanting! Needless to say I spent a lot of the hour with my head in my hand as I could not look! Keith told me they were very good! We rounded off our day with a meal of Peking Duck – where else but in Peking! Interestingly the people who live here seem to call it Peking rather than Beijing. 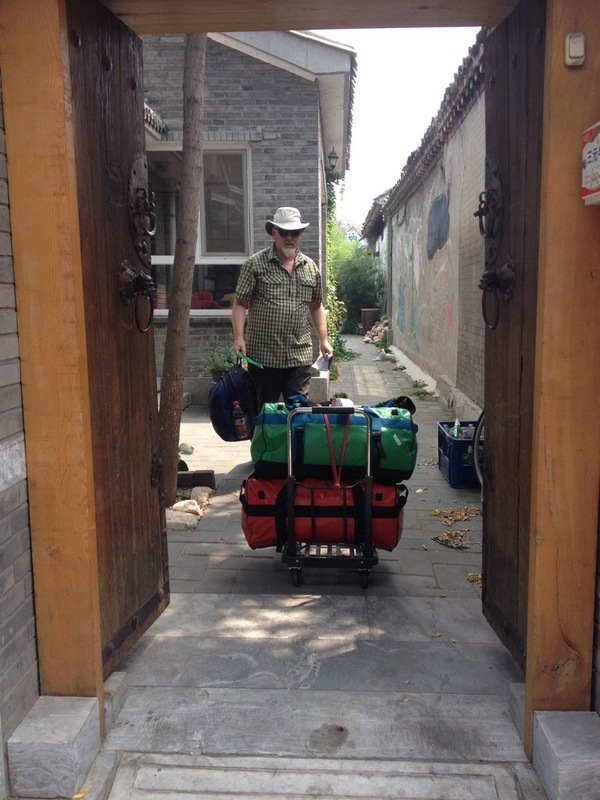 We got back to our Hutong to find that the airline had called to say the bag would be delivered but it could be very late. Amazing! Great news! However, my joy was somewhat deflated when having waited up, it still had not arrived by 12.30 am and a phone call at about 1.00 am woke the whole household to be told it would be delivered on Sunday……..
Well, after an excellent flight with Air China, they did not do quite so well with the baggage as mine has not arrived. I have a feeling that this might not be as unusual as one would like to think judging by the number of people (probably around 100) in the Air China baggage reclaim office when we went to register its non appearance. Trying to maintain the ‘sang droid’ of the seasoned traveller I said things like ‘never mind these things happen’ and ‘no-one has died’ ……. And then I thought of all the stuff in my bag and the need to replace it if the said item does not materialise before we are due to leave Beijing. Eeeeek! The bedding equipment is one of the main issues. Where do we find a camping shop with a four seasons sleeping bag in Beijing?! A quick (10 minutes while the insurance claims department checked the policy) call to the insurance company did little to reassure me as they said I could spend up to £100 if it was still lost after 24 hours but nothing more until the airline declared the bag permanently lost – an unspecified period. Hopefully it will turn up shortly. I am not holding my breath but am deferring panic. Nothing to be done about the bag, we set out to find some underwear (I carried one spare outfit in my rucksack but omitted knickers!) . In Marrakesh. Access is gained through a gateway off a narrow lane which opens into a courtyard with a sizeable house and garden. It is very near the Houhai Lakes. 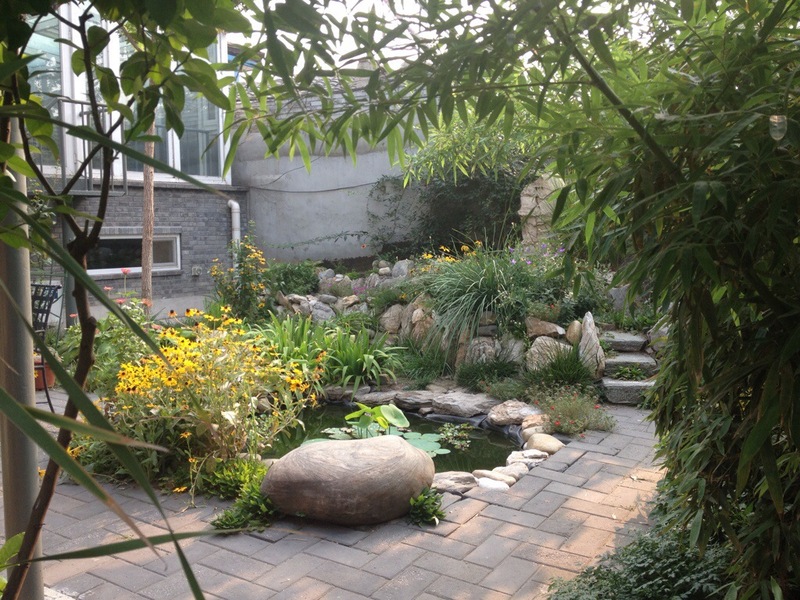 Ours is called Gladys Garden and is the home of a very nice lady who is Chinese (to date not named) and Dave, a Canadian. However, to return to the knicker hunt. We were directed back over the bridge across the lake and along a number of streets to find a department store known as the ‘Christmas Shop’ due to a figure of Father Christmas stationed permanently on display outside! It sounded rather unlikely but proved very helpful for identification purposes! We had dinner seated outside in a quite busy thoroughfare just off Crooked Pipe Road. Hutong has a hectic nightlife where cafe and bar owners vie with each other for your business and their singers vie with each other for airtime – which makes for an interesting mixture of sights, sounds and odours as you take in the ‘local colour’ or in my case look for anything that might replace my travel wardrobe if all else fails!